There has been much debate about what Apple has in store for their next iPhone, with detailed information about the device being kept tightly under wraps. As the usual June/July release date has been pushed back in time for the release of iOS 5 in September, this is one feature that can be taken for granted with most other things just being speculation. 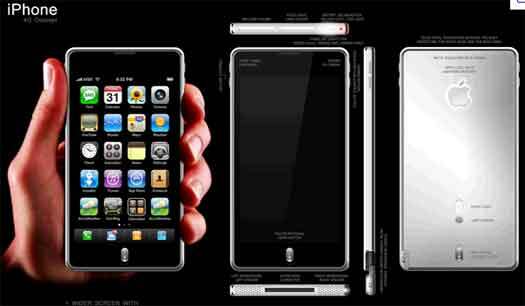 There have been conflicting rumours of a larger screen and yet a smaller phone, and with the name of the device not yet confirmed to be the iPhone 5 or the iPhone 4S. While some had suggested the name of the iPhone 4S in lieu of the fact that this next Apple phone might not mark a huge shift in design from the iPhone 4, there are now rumours floating about that there will in fact be two Apple phones released in September with the iPhone 5 being the main affair and a smaller iPhone 4S being the rumoured ‘iPhone Nano’. The claim of two new Apple phones comes from an unlikely source, Chris Whitmore of Deutsche Bank, who claims that the smaller Apple phone will be released to try and capitalise on Nokia and BlackBerry’s falling market share in the lower end of the market. These rumours have already been floating around for some time but considering the iPhone’s position as a premium priced status symbol it is unlikely that a scaled down iPhone will be as cheap as the more basic handsets. In other news, Samsung has just dropped the price of its Galaxy SII with more rumours speculating that this is in preparation for a newer flagship handset. Considering the popularity of the Galaxy SII (which has been the first phone in a year to knock the iPhone 4 from the number 1 spot of bestselling phones) this could indeed indicate that Samsung is preparing a new rival for the next iPhone.